The technical committee and instructors at ABWK have many years experience with karate and this is shown during every training session. They will endeavor to make every session enjoyable, technical and balanced for all levels from beginner to black belt. The are all very friendly and approachable so if you have any questions they are enthusiastic when answering. Dan grade history Shodan. 1977 with England Karate Do-Wado-Kai. Walter Seaton Sensei 7th Dan. Nidan. 1979. EKW. Seaton Sensei. Sandan. 1982. EKW. Seaton Sensei. Yondan. 1990. EKW Seaton Sensei. Godan. 2007. JKF Wado-Kai. (Confirmation Grading) Shingo Ohgami Sensei 8th Dan JKF Wado Kai. Rokudan. 2014. JKF Wadokai – Tokyo, Japan. 2nd Kyu Kata Referee Licence JKF 2013. 3rd Kyu Instructor Licence – JKF 2013. 3rd Kyu Examiner Licence – JKF 2014. 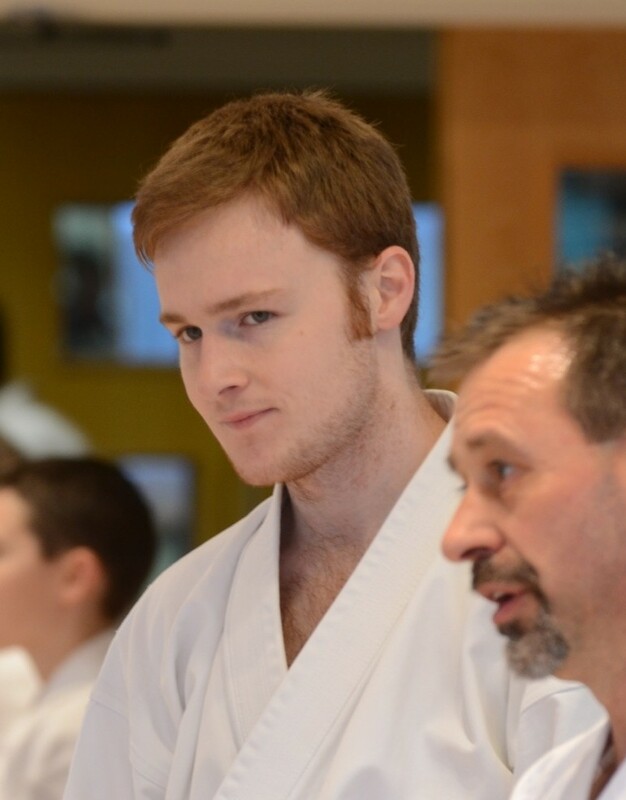 2nd Kyu Instructor Licence – JKF 2015. Tokyo, Japan. 2nd Kyu Examiner Licence – JKF 2015. I started my formal training at Billingham Karate Club in September 1979 under Ian Hales and Keith Howard being part of England Karate Do-Wado-Kai under the leadership of Walter Seaton Sensei 7th Dan. I was privileged enough to be made both a National Coach and Chief Coaching Officer for the EKW and greatly enjoyed these roles over the years. 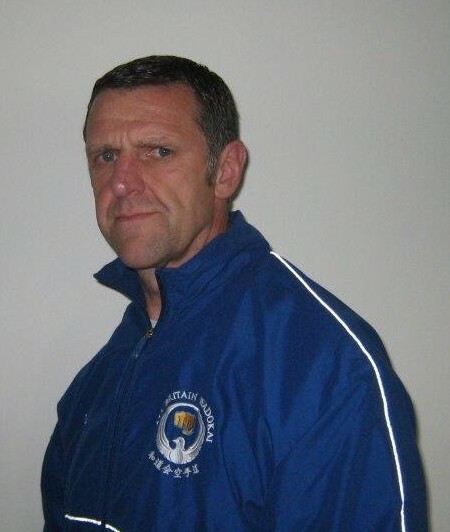 After receiving an invitation to train with the ABWK at Bannatynes in Ingleby Barwick I found that I greatly enjoyed not only the excellent Wado training and teaching but the friendliness of the students who welcomed me with open arms. 1st Dan 1983 with England Karate Do-Wado-Kai. Walter Seaton Sensei 7th Dan. 5th Dan 2001 with England Karate Do-Wado-Kai. 6th Dan 2010 with England Karate Do-Wado-Kai. 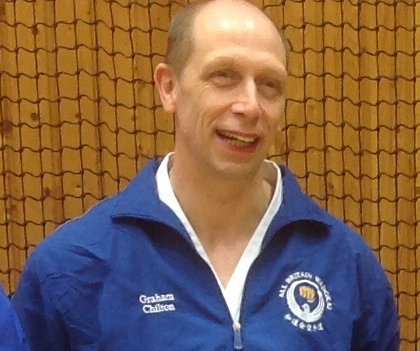 England Karate Do-Wado-Kai National Coach. 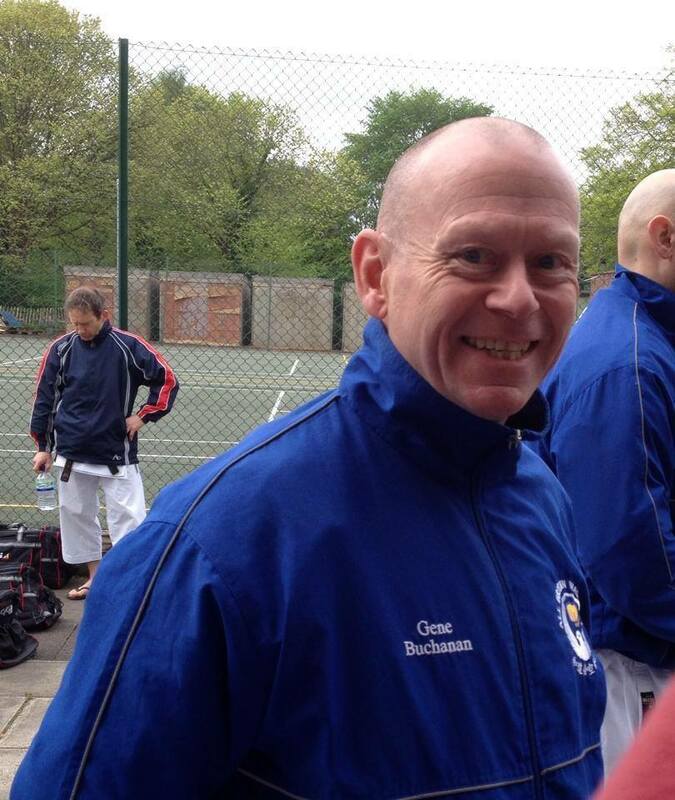 England Karate Do-Wado-Kai Chief Coaching Officer. 1st Dan JKF Wadokai with Tamaki Sonoda 7th Dan. 2nd Dan JKF Wadokai with Koichi Shimura 7th Dan. 3rd Dan JKF Wadokai with ABWK Technical Committee and Hideo Takagi. 4th Dan JKF Wadokai with Hideo Takagi and Tamaki Sonoda. 5th Dan JKF Wadokai with Hideo Takagi and Tamaki Sonoda. 3rd kyu Instructor Licence. JKF 2015, Tokyo, Japan. 2nd kyu Instructor Licence. JKF 2017, Tokyo, Japan. I began training September 1975 with Sensei Walter Seaton, over the years I have trained with many great instructors past and present and I am forever striving to improve. I have been an Instructor for many years now teaching at various clubs starting with Teesside Polytechnic in 1980. I also had a junior club within Billingham Forum for over 10 years and saw many students obtain their Dan Grades. I am founder member of the WKF which has now become All Britain Wado Kai. I have constantly trained for almost 40 years now and I shall continue to do so with dedication, commitment and loyalty to Karate and the A.B.W.K. Alex began his karate journey one Tuesday night in 2000 as a shy young boy. Little did he know that something he started to try and build up his self esteem would become a life long passion. 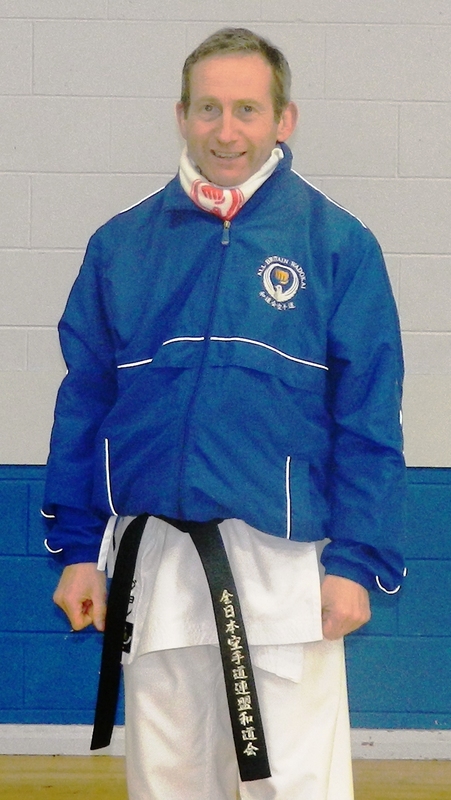 Over the years Alex has trained with many Japanese instructors in an attempt to improve his technique and also competed at the British National Championships in 2004. 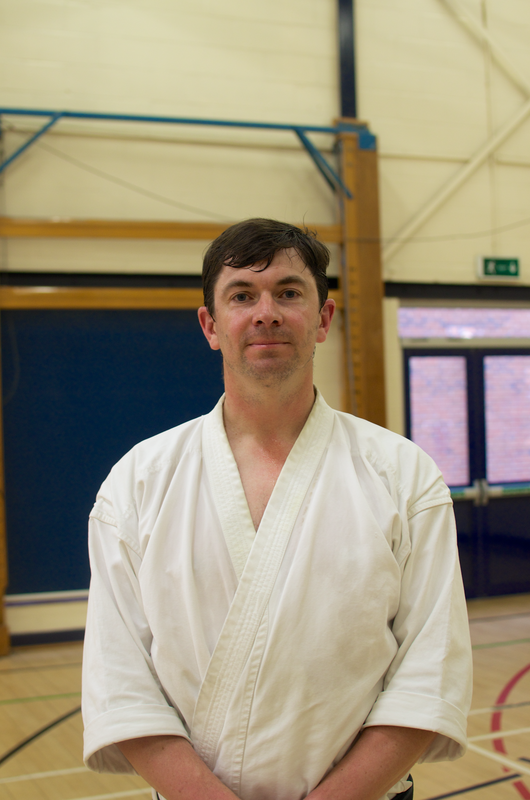 He will mostly be found at the clubs around Ingleby Barwick and his karate journey has come full circle as he now teaches in the very Tuesday night class he started in. Sandan JKF Wadokai 2007 (Confirmation grade) Shingo Ohgami Sensei. Yondan JKF Wadokai 2013 Hideho Takagi Sensei. 3rd kyu Instructor Licence. JKF 2017, Gifu, Japan.